Director Maris Martinsons’ film ‘Magic Kimono’ (Futari no Tabiji) will open at Eurospace Tokyo on June 24, 2017. 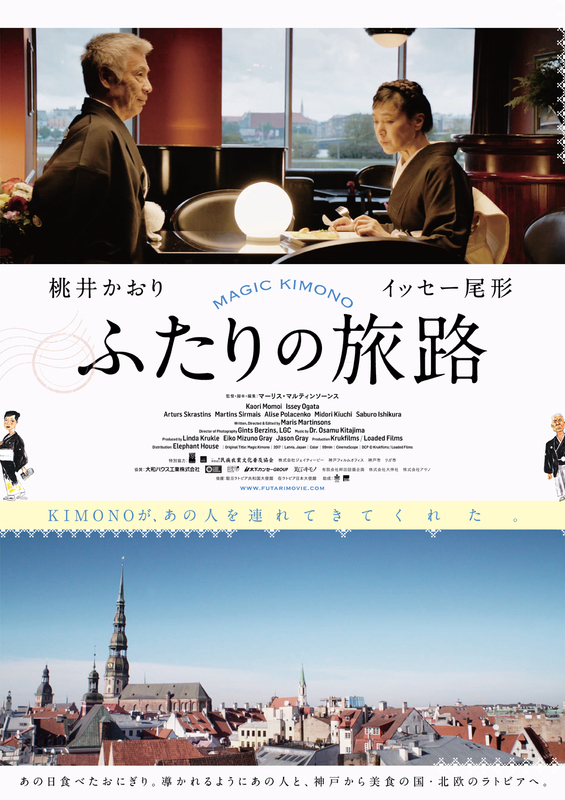 The film featuring Kaori Momoi and Issey Ogata in the first coproduction film between Japan and the Baltics. Momoi stars as a woman living a sheltered existence since losing her daughter and husband two decades ago. When se travels to Riga, Latvia to join a kimono show, her long-lost husband reappears.